Genuine OEM Ricoh Toner Cartridge, Black, 15,000 page yield. 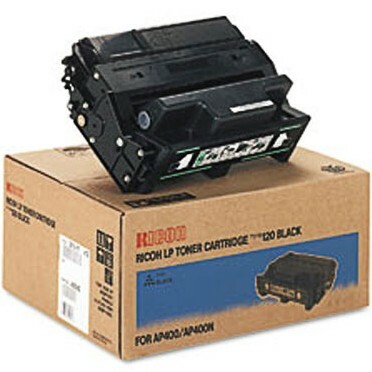 Ricoh part number: Ricoh 400942, Type 120, 47000. Laser Toner Cartridge compatible with Ricoh Aficio AP400, AP410.